Contest: Win a $2,500 Gift Card From Lumber Liquidators! 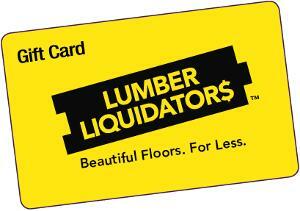 Win a $2,500 Gift Card From Lumber Liquidators! Prize: A $2,500 Gift Card From Lumber Liquidators!